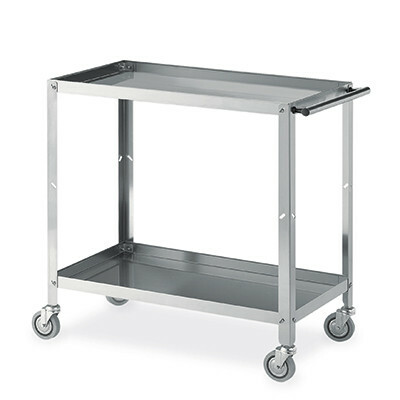 1545 is a service trolley with structure in stainless steel angular sheet. The shelves in stainless steel are tank-shaped, with 90° board anticut, depth of 4 cm. Shelves bolted to the structure. Push handle; the swiveling wheels have a diameter of 9,5 cm.